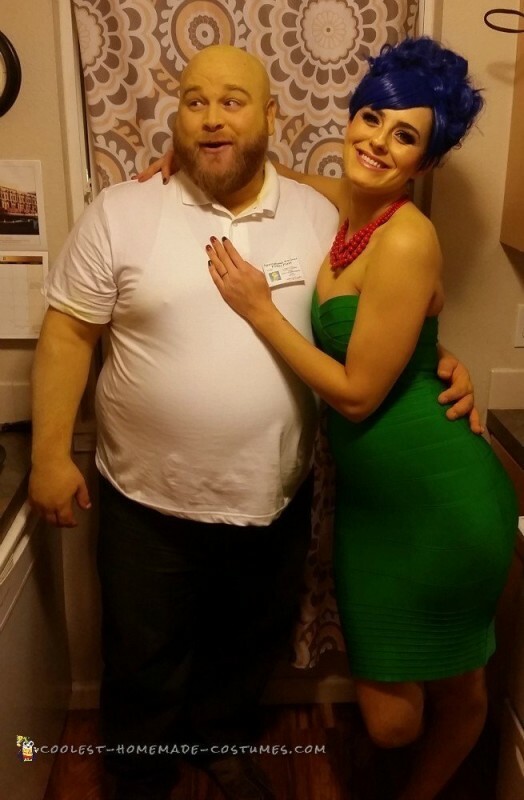 We do a couples costume every year and this year we decided to make Homer and Marge Simpson costumes. I’m an ex drama kid, so I go all out. 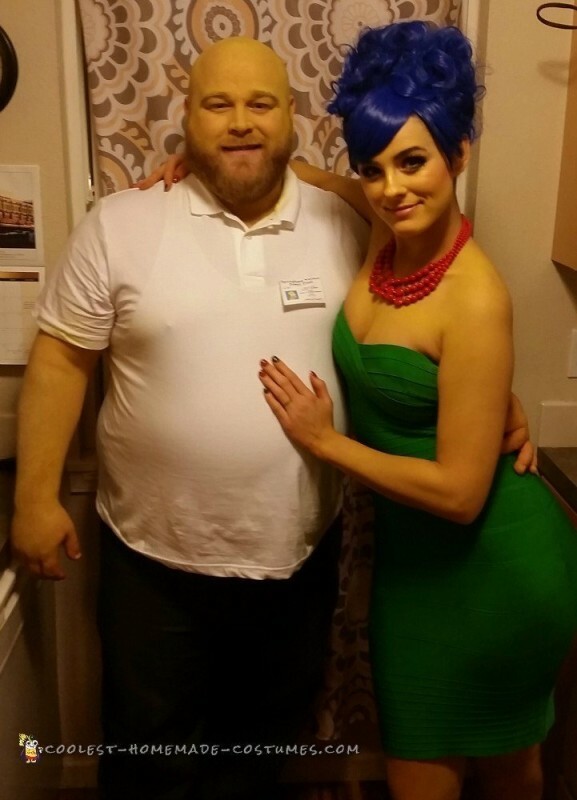 I’m just lucky enough to have a husband who is such a good sport. The poor guy doesn’t even like the feel of lotion on his skin and he rocked the freaking body paint all night! Everything ended up yellow by the end. Whoever drew Homer was not keeping the cosplayers in mind when giving him in a white shirt. Long story short, we are boycotting the ba(g aka we only do homemade or assembled costumes). I’d rather see someone rocking a karate kid shower than a $75 slutty and/or poorly constructed generic costumeany day. Be creative! It’s much more fun. 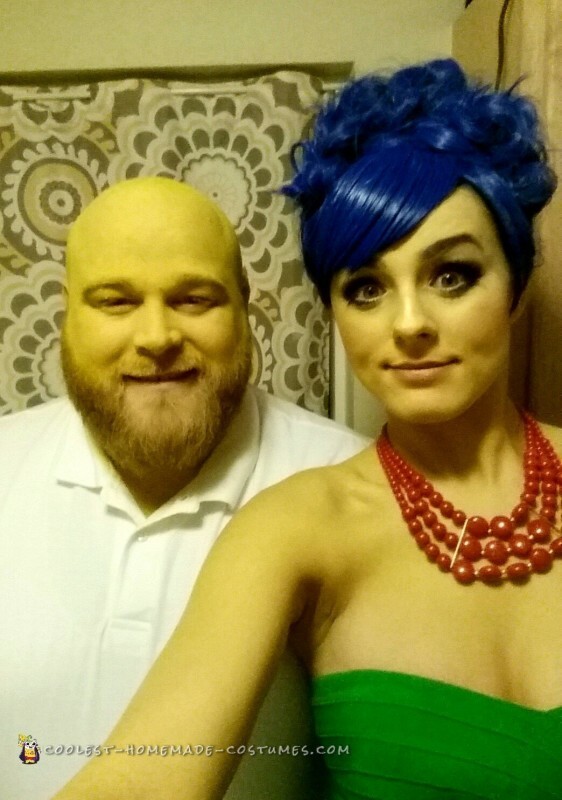 We had a blast rocking our jaundice yellow and turning heads! Nothing will beat my husband having to get out of the car to pump gas and hear a lady yell across the station from 3 pumps away, “Oh my god look at his skin!” Priceless.